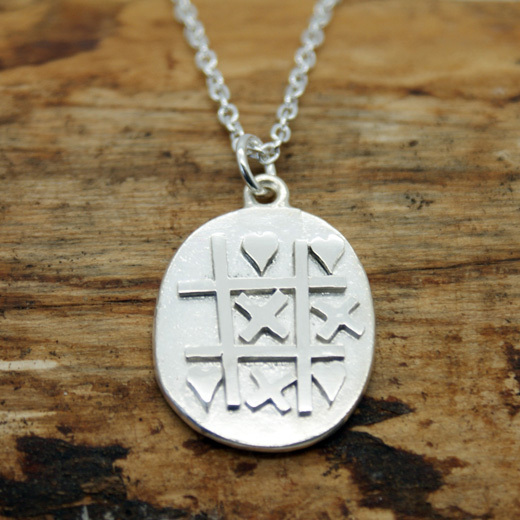 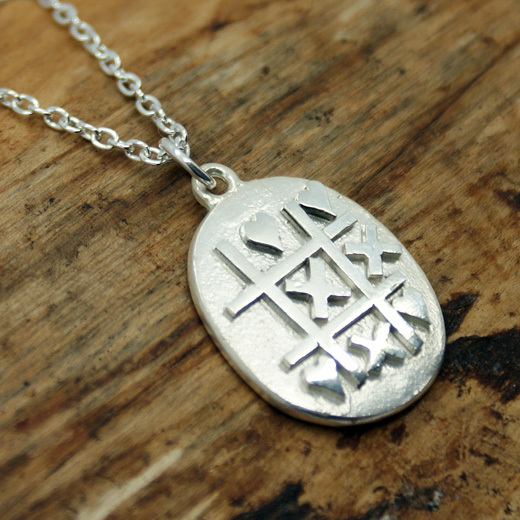 A cleverly designed pendant and necklace from the Yulan range, this solid sterling silver pendant is based on the old noughts and crosses game, which has been changed to kisses and hearts. 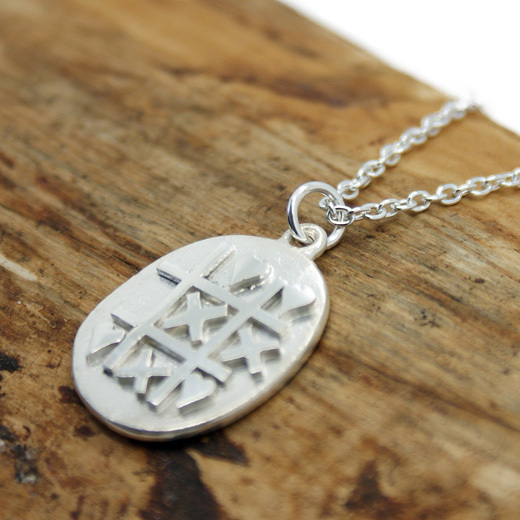 The solid sterling silver pendant and chain that will complement any outfit from day to night. We also have a earrings on this page to match the pendant and chain. Not exactly what you are looking for? We have a wide range, see the sterling silver necklace gallery for our other options.